WOW, What A DEAL! Listed BELOW Appraisal($580k) With Buyer Closing Cost Assistance up to $14,970. Qualify For a Lower Payment. This Won't Last Long. 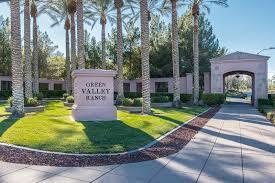 Beautiful Green Valley Ranch Home, Gated Community Zoned for Top Rated Schools. Easy Access to I-215. Since Your SAFETY Matters to Us a Full Structural, Pest and Roof Inspection Are Completed(Copies Available For Viewing); Home Warranty Avail. Quiet, Very well Maintained Home. Fast seller response. THIS BRAND NEW 4 BEDROOM 4 BATH HOME WITH A LOFT IS STUNNING.BEAUTIFULLY DESIGNED BY OUR PROFESSIONAL DESIGN STUDIO, COMPLETE HOME. AMAZING OPEN FLOOR PLAN WITH SELECT UPGRADES THROUGHOUT.GOURMET KITCHEN INCLUDES HUGE ISLAND.ALL OPTIONS PRE SELECTED. THE MASTER BATHROOM INCLUDES A MUCH DESIRED SEPARATE TUB AND SHOWER.FLOORING INSTALLATION IS STILL PENDING.LOCATED IN THE COMMUNITY OF CORTERRA.MINUTES AWAY FROM THE GREEN VALLEY RANCH. WOW! Former model home & pool in gated 48 home community. Original owners replaced all light & plumbing fixtures, installed real hardwood plank floors, 24x24 ceramic tile, 4 baseboards, redesigned shower in master bath w/large seat & 2 shower heads, replaced all counter tops w/granite, newer SS appliances, 6 ceiling fans t/o. Sparkling pool, patio area, colorful easy maintenance landscape. Newer HVAC, water heater & pool pump. A beautiful home! Built in 2007, this Henderson two-story home offers an in-ground pool, a fireplace, and a three-car garage. Upgraded features include a new pool heater and filter. Sprawling floor plan w/vaulted ceilings throughout, tile floors & upgraded carpeting. Designer kitchen w/granite counters, tile backsplash, SS appliances, custom cabinets w/pull out shelving & soft close drawers. Family room w/fireplace & media niche. Formal living & dining room. Large master w/separate tub & shower, walk-in closet w/built-ins. Backyard w/9ft deep pool w/diving board, spa, newer pump. Plantation shutters, crown molding & more! Gorgeous single story! Open floor plan, kitchen remodeled, granite counters, custom cabinets, island, breakfast bar and nook. Living room w/built-ins, cultured stone fireplace, and surround sound. Master bedroom w/coffered ceiling, en-suite with large shower, free standing tub, dual vanities and custom storage. Ceiling fans, window treatments and new paint. Large covered patio, w/lighting, ceiling fans and outdoor speakers and strip views! GORGEOUS AND SPACIOUS 4 BEDROOM HOME WITH MANY UPGRADES, TILE AND LAMINATE DOWNSTAIRS, HIGH CEILINGS, HEATED POOL AND SPA. GREAT LOCATION, JUST MINUTES FROM GREEN VALLEY RANCH AND THE DISTRICT.